Rebecca from Living Better Together here again and I’m so excited to be visiting all of you here at Place of my Taste again! I’m not sure about you but I’m not exactly ready for fall yet so I’m clinging onto the final days of summer with this delicious Raspberry and Peach White Balsamic Crisp! Fall might very well be on it’s way, but it’s not officially here yet. 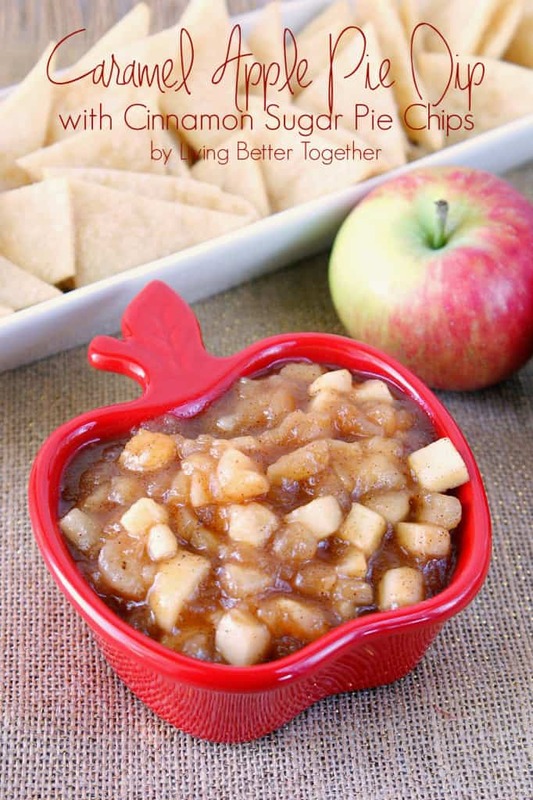 Which means it’s the perfect time to start pairing those fresh summer fruits with those cozy fall crisps! 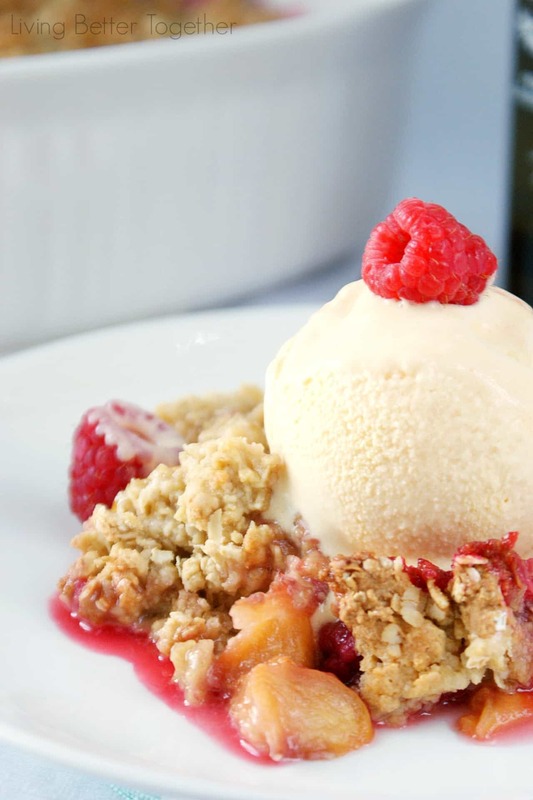 There’s nothing quite like the sweet crumble of an oatmeal crisp over tart fruit fresh out of the oven with a scoop of ice cream. I decided to pair two of my favorite fruits together for this dish, Raspberries and Peaches. 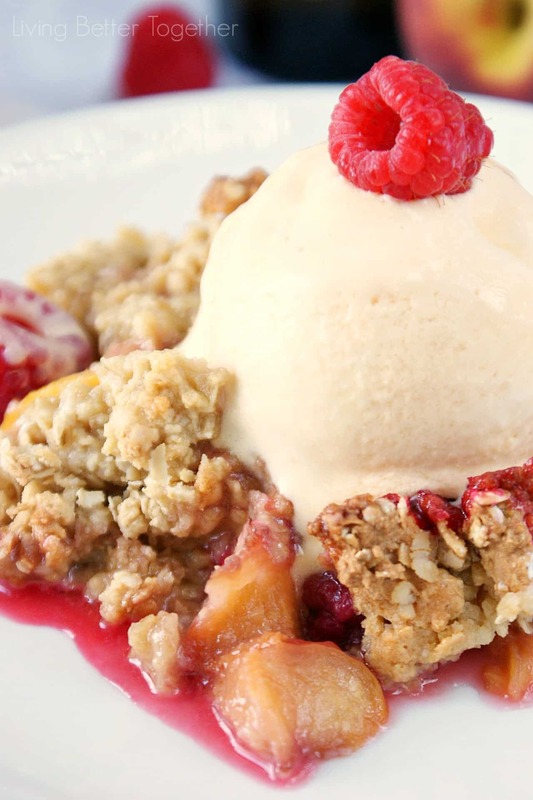 I love the way the sweet peaches compliment the tart raspberries in this dish. 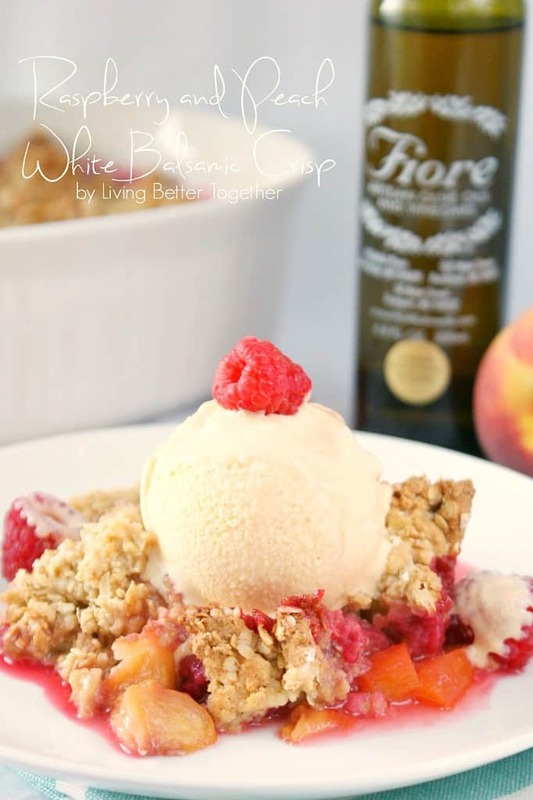 I decided to add an extra touch of summer by drizzling my ice cream with a Summer Peach White Balsamic from Fiore, this is optional of course, but it really made the dish sing! 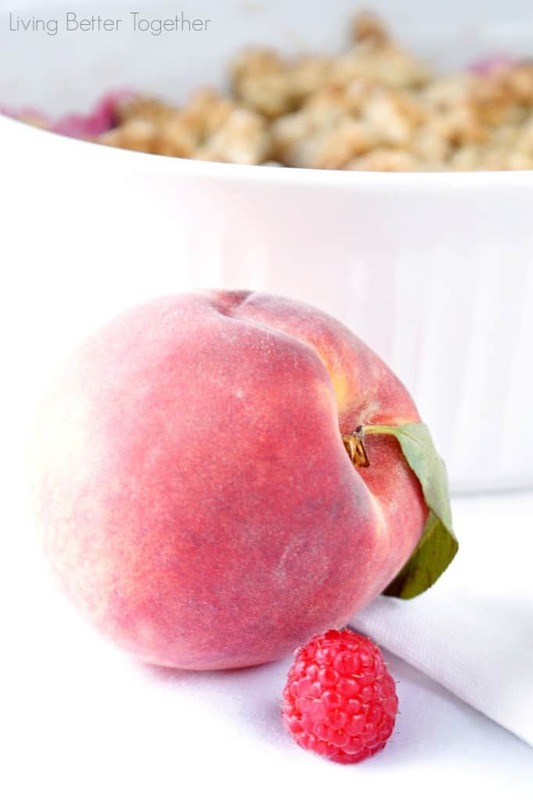 Add raspberries and peaches to a 2 qt baking dish. Mix eggs, sugars, flour, oats and salt in a medium bowl until it becomes a crumble. Evenly spread crumble over the fruit and pour butter over the top of it. Remove from oven and let stand for 10-15 minutes before serving topped with ice cream and vinegar. Here are some more deliciousness from the amazing Rebecca! 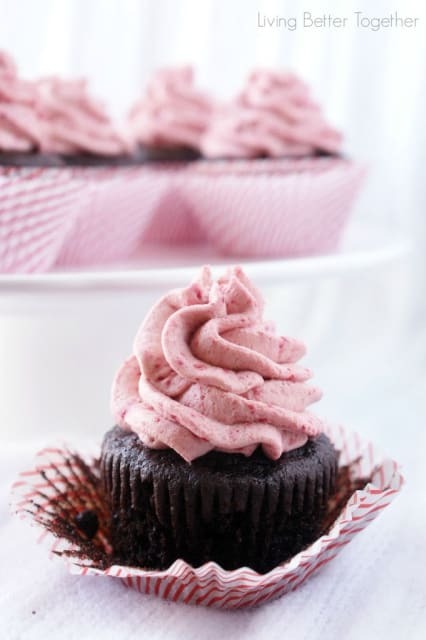 Thanks for sharing this amazing recipe, Rebecca! This looks amazing!! Cannot wait to try this recipe! Happy Friday friend!